I've never had a Graze box before, so when I was given a voucher to use to have my first box free, then I was pretty excited. 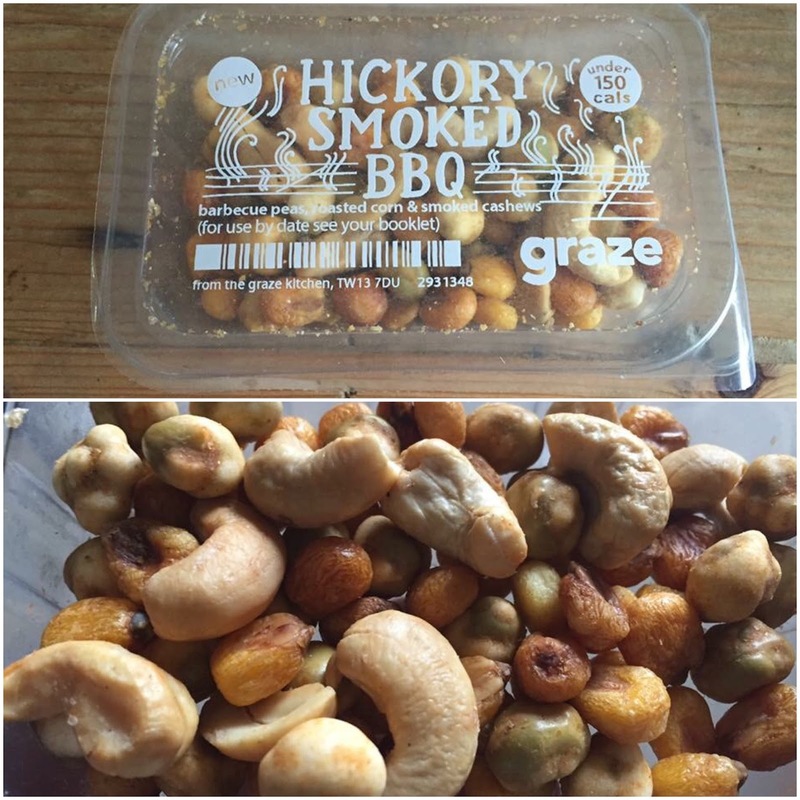 I signed up online which was really easy to do and chose some ingredients which I do and do not like. Then, a few days later my box arrived! 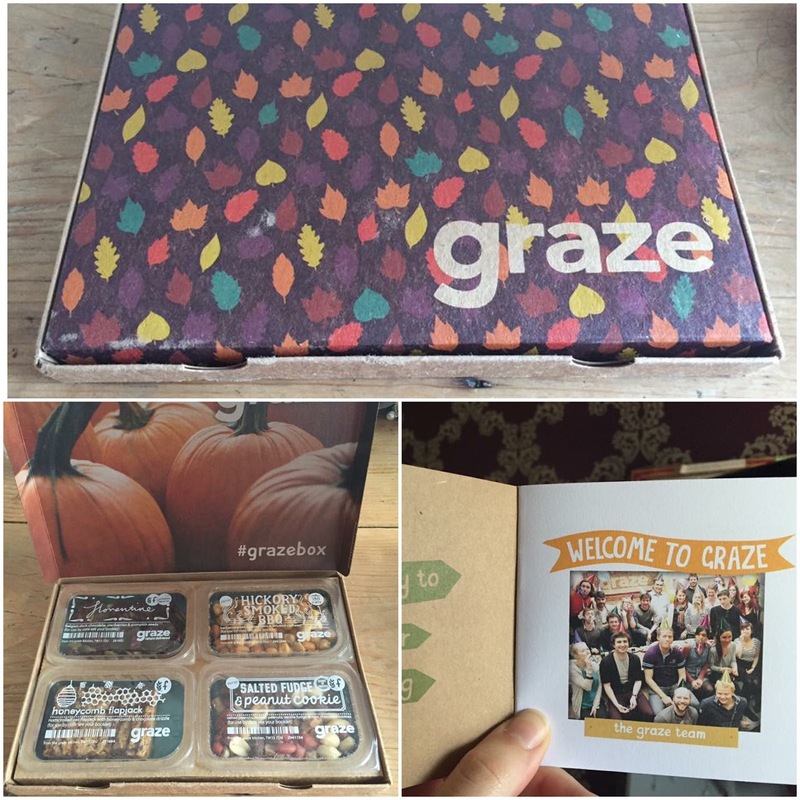 I loved the autumnal theme on the box which came with a little welcome booklet too. You get a selection of 4 treats both sweet and savoury. The first snack that I chose was 'Florentine'. This little box was great when I had it as my post-dinner sweet fix. The bitterness from the dark chocolate tasted great with the tangy dried cranberries and the added crunch from the pumpkin seeds all went perfectly together. Very nice. 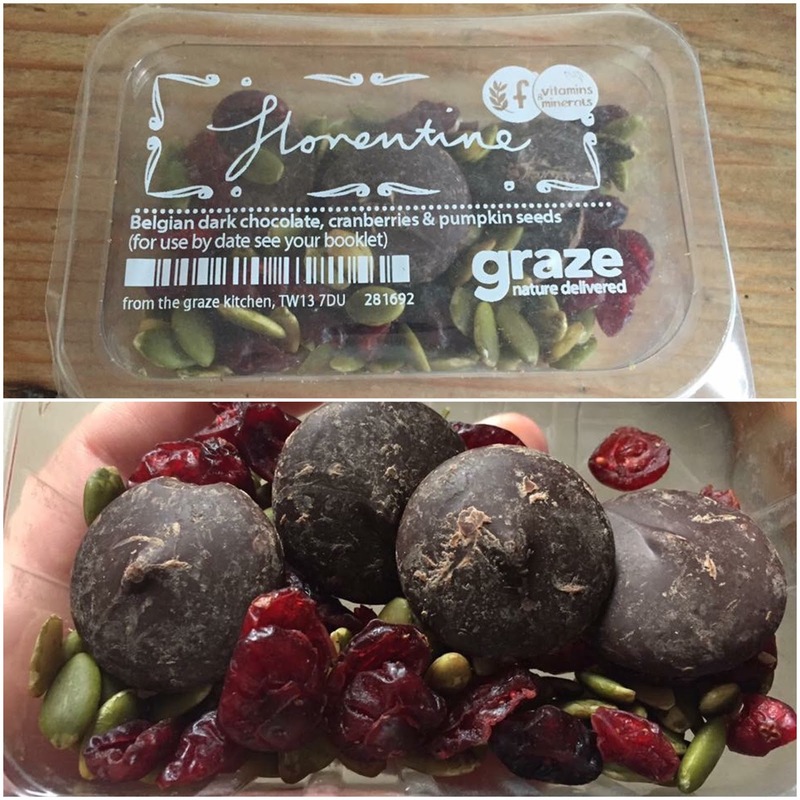 Seeing as I really liked the Florentine, I decided to have another box straight after. I chose the 'Hickory Smoked BBQ'. 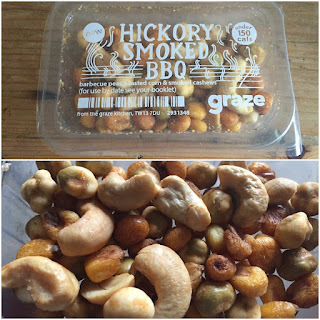 I was quite surprised at how much I liked these nuts as other than the cashews, I'm not too fussed about them. I loved how there was a mixture of textures with the different nut types and the smoky flavour was not too overpowering. I decided to leave it a couple of days before my next one because otherwise there would be non left! I took the 'Salted Fudge & Peanut Cookie' box to work with me. It was nice to have this by the side of me throughout the morning to nibble on. The combination of the 3 ingredients are lovely together. The biscuits were crunchy which was a bonus too. This one was definitely my favourite of the lot. 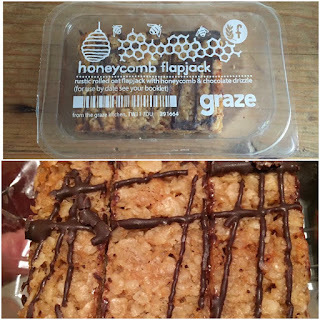 I have a sweet tooth anyway but this flapjack was amazing. It had a little crunch on the outside but was so smooth and melted in the mouth. The chocolate drizzle on top obviously made it even better. I didn't seem to get any kind of honeycomb flavour though but nevermind! 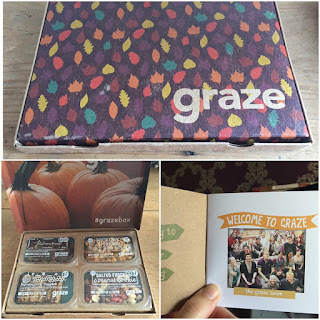 If you have been thinking about getting a Graze box then I would so recommend it. You don't get tied into a contract so can cancel at anytime, however I have decided to carry my subscription on as I was so impressed by this one and can't wait to see what I get next! Take a look at their website and grab your free box now! 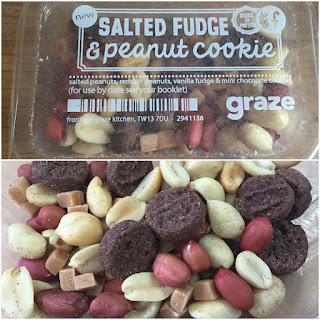 Gookie Dough - Edible Gourmet Cookie Dough. The Plough Inn - Brackenfield, Derbyshire. 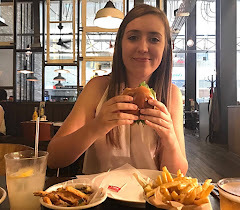 © Munching With Monet - Foodie Blog. All rights reserved.